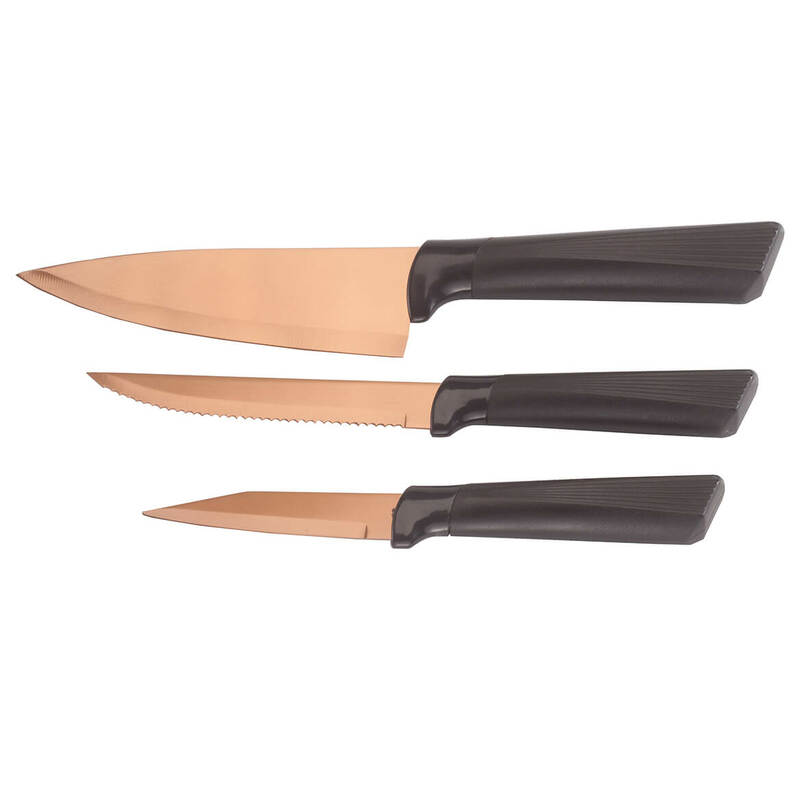 This is a nice set of inexpensive knives. They are not real well made but they are very sharp & seem to be holding their edge nicely. Also, the coating on the blades is a nice nonstick feature. I have purchased items before from miles kimball. I have one small copper knife and absolutely love it. It cuts through anything like it were butter. I'm hoping these will do the same. 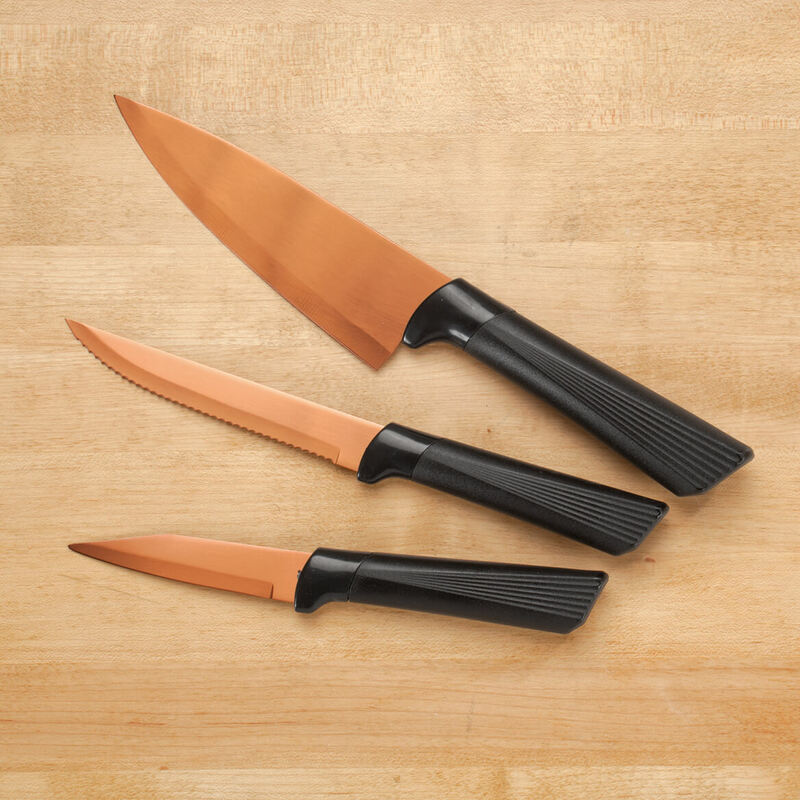 I need good kitchen knives and i think these will work well for me. Thought I would try them I have tried copper pans and like them. Need knives, they are just as I needed. Price was good and they are copper.